Beginning in November 2013, school districts across the United States will be able to draw, upload, or update previous year school boundaries in a web-editing application as part of the Department of Education’s National Center for Education Statistics (NCES). Once processed, the school boundaries will be freely available for visualization and download on the NCES School District Demographics System website. By providing the public with detailed boundary information, it will be possible for the public, researchers, and policy makers to examine relationships between schools covering many demographic, social and economic indices. 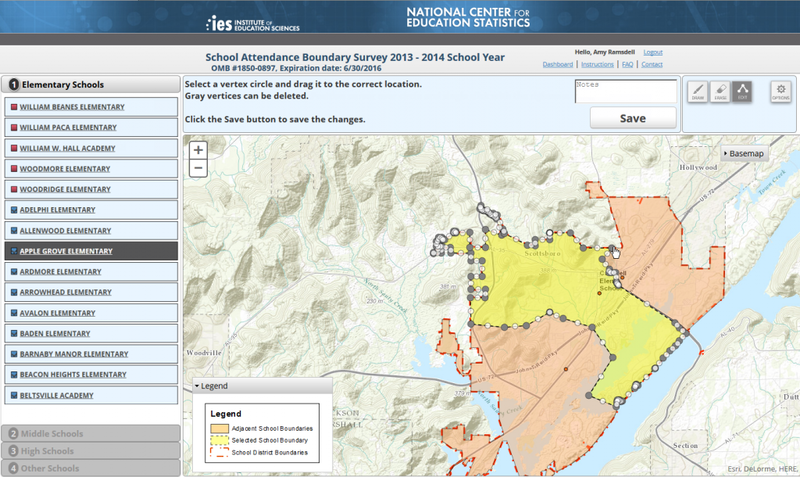 NCES has initiated this 2013 School Attendance Boundary Survey (SABS) with support from the U.S Census Bureau, to collect school boundaries for the 13,000+ U.S. school districts. This represents more than 100,000 public elementary and secondary schools from the Common Core of Data (CCD) school universe. At Blue Raster, we pride ourselves in developing applications and tools that help our clients solve, clarify, and visualize many of the world’s critical challenges. Our team is passionate about what we do, our clients, and how our work makes a positive impact on our world.